Add Style, Add Safety and Add Security, all at the same time! Give your property an elegant and attractive look with our well crafted Wrought Iron Gates and Fences. Gates and Fences are most vital part of any home or commercial properties. The Wrought Iron Gates and Fences manufactured and installed by us not just enhance architectural appearance, safety and security but also add value to property. A well designed Gate and Fence, leaves first impression on the minds of visitors about your home or business properties when they approach from outside. Since 1990, Genius Designs have installed custom design Iron Gates and Fences for all home and business customers. We helped countless customers in Houston and surrounding areas by installing our robust Iron Gates and Fences at their premises to make their property more safe and secure from intruders. Get in touch with us for our reliable yet cost effective Gate and Fence services. Why Gates and Fences manufactured using Wrought Iron are so popular? Wrought Iron are so much popular and first choice among all residential and commercial customers to build a perfect Gate and Fence systems. There are some properties of Wrought Iron, which makes it most famous and first choice. Difficult to Damage - Wrought iron is 100% solid steel which is extremely difficult to damage or destroy. They can also resist a vehicle invasion. Other material cannot provide the security, comfort and value which Wrought Iron brings to your home and business properties. Durability - Gates and Fences manufactured using Wrought Iron are durable and lasts longer than any other type of material such as Wood and Vinyl. Its suitable choice for homes and commercial buildings. 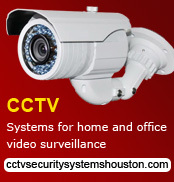 Security And Privacy - Security and Privacy is what every home or business owner looks for their property. Wrought Iron is more secure and robust as compare to other materials. That is the main reason people give first preference to Wrought Iron for there Gates and Fence needs. Easy to Maintain - Maintenance of Wrought Iron Gates and Fence, are very simple and convenient. Just apply soap with water along with quick rub down and you are done. Your Gate or Fence will start looking spotless and brand new. You don't require any type of special cleaning product or polish, thus saves you money. Wrought Iron Gate and Fence services at your door step! We at Genius Designs, is one of the most preferred companies in the Texas region, when it comes to install cost effective and high quality Wrought Iron Gate and Fence service. We are available to manufacture and install custom design Wrought Iron Gate and Wrought Iron Fence as per your specific needs and requirements. We strictly comply with city codes while manufacturing and delivering our Wrought Iron Gates and Fence services. We care our customers and to keep them happy as well satisfied. We always provide our exceptional services at very affordable price. If you are considering to install Wrought Iron Gates or Wrought Iron Fence, get in touch with us. We are a one stop shop for all your Wrought Iron Gate and Fence needs. We are just a phone call or email away! Estimates and advisements are absolutely FREE!